Young Friends of the Garden is a group of young professionals with an interest in the Garden’s work in promoting sustainability and strengthening cultural life. Participants enjoy opportunities to meet other young professionals and socialize at after-hours Garden events. Young Friends events include Trivia Night—Garden Style, Tulip Trot, and Fest-of-Ale. The Young Friends program is led by the Young Friends Council, a group of 50 young-professional leadership volunteers who serve as ambassadors for the Garden within the community. A call for Council members is made every spring through the Young Friends email list and through our Facebook group. Council members are selected through a résumé submission process by a nominating committee consisting of current Council members. Megan Maher, Trade Marketing Manager–Sales Planning at Energizer Holdings, became the sixth chair of the Council in July 2018. Here’s a little more about her. To learn more, please email young_friends@mobot.org or call (314) 577-9432. The Young Friends Council is currently accepting applications for new members. Please submit your cover letter and résumé by April 26 to young_friends@mobot.org. Council members are also expected to serve as ambassadors for the Garden by promoting the institution and its mission to their professional and social networks. All nominees for the Young Friends Council will be notified of selections by June 1, 2019. Questions? Email young_friends@mobot.org or call (314) 577-9432. All proceeds raised through Young Friends events in 2014 through 2018 were directed to support the Doris I. Schnuck Children’s Garden. The Young Friends Council hosted an average of 4 events per year, raising a total of $270,000 for the Children's Garden in 5 years. These funds were used by the Children’s Garden for physical improvements, including new nature instruments and nature-inspired books. Funds also support education staff, program enhancements, and seasonal closing weekend activities. 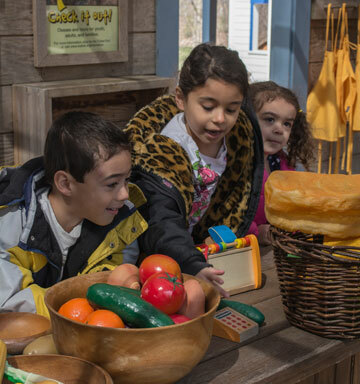 The Young Friends Council also personally contributed more than $46,000 to the Garden for the World campaign to support the expansion of the Brookings Exploration Center and new PlantLab, furthering their commitment to children's education at the Garden. The Board of Trustees was so impressed with this success, they matched the total and doubled the impact! The Young Friends Council is excited to continue this success in 2019, focusing on a new area of the Garden's mission: sustainability. We will be featuring the Garden's role in protecting and conserving the resources needed by the world's plants and their ecosystems. Want additional updates? Join the Young Friends of the Garden's Facebook group.